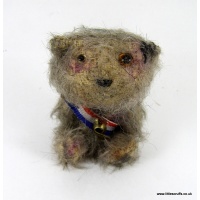 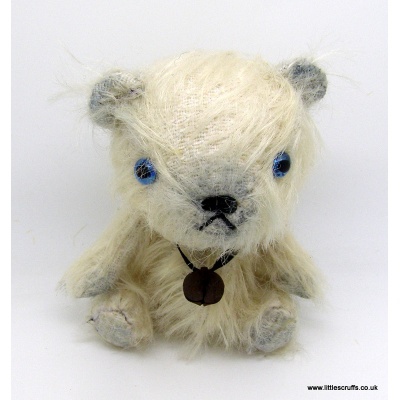 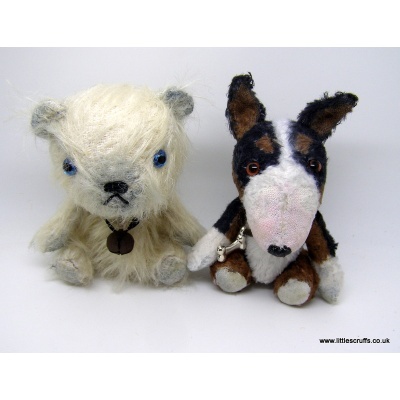 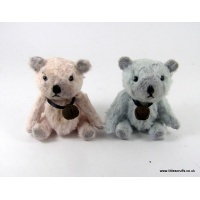 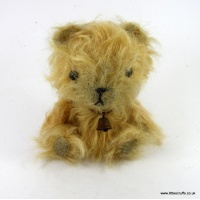 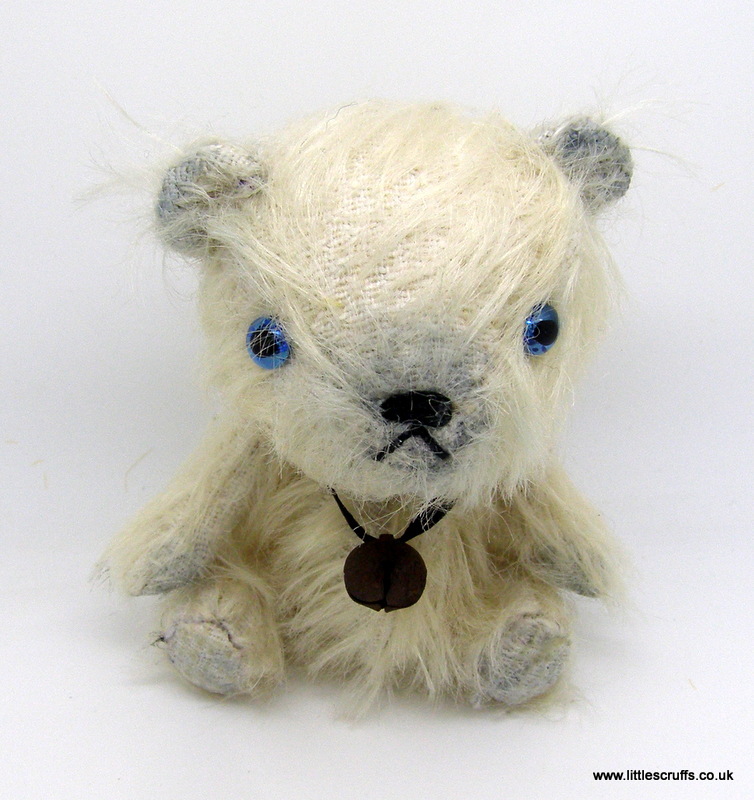 Harrington is another little bear made from fabulous vintage mohair. 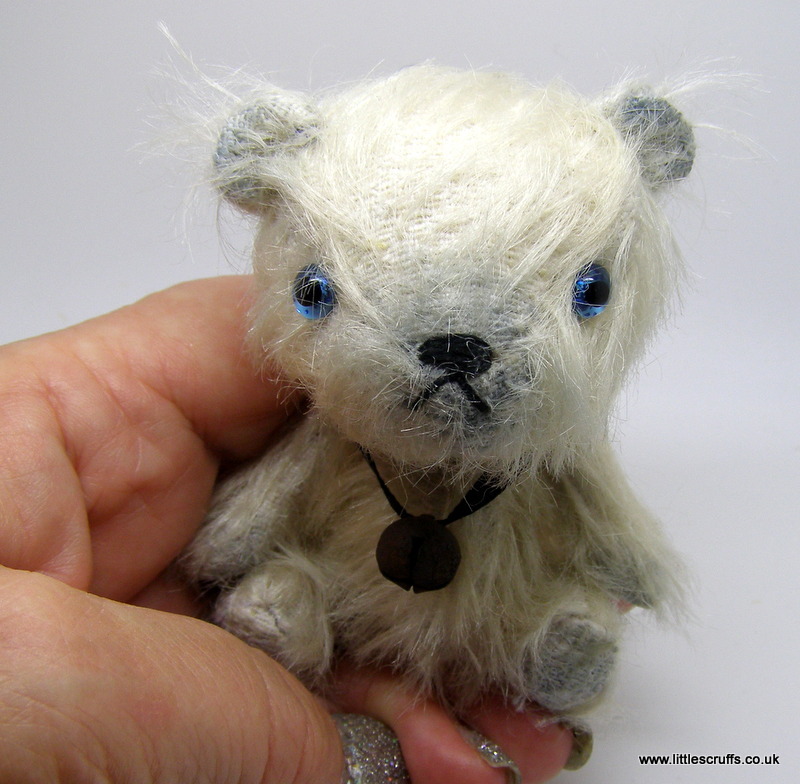 He is just over 31/2 inches tall when standing and has blue, sparkling glass eyes and a stitched, waxed nose and mouth. 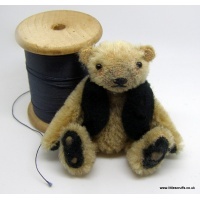 Harrington is firmly stuffed with kapok, used in the making of early bears, and is fully cotterpin jointed. 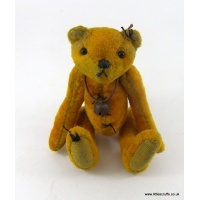 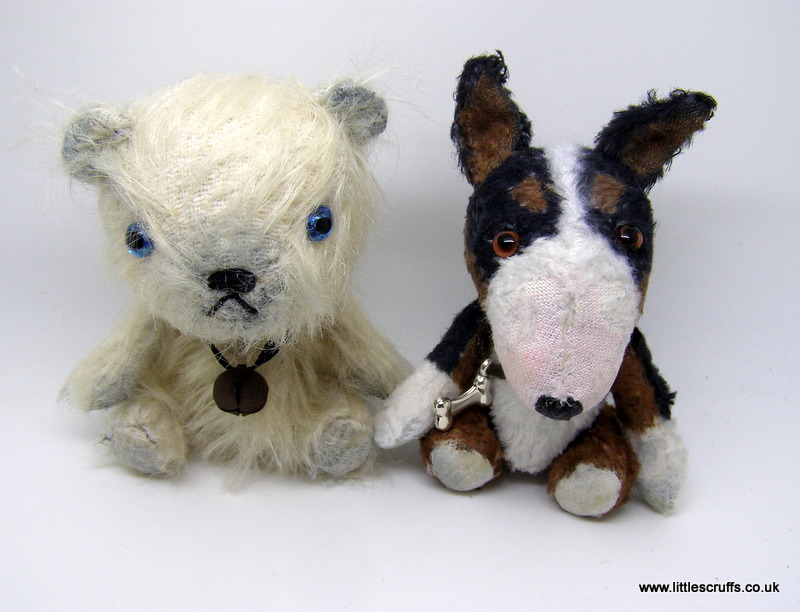 He has shading to his paws, ears and nose for a "well loved" look and comes wearing a rusty old bell around his neck.